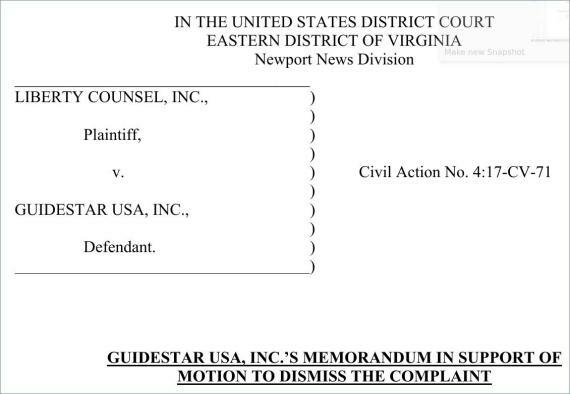 The complete motion is "below the fold"
Liberty Counsel has sued GuideStar USA because GuideStar indicated that Liberty Counsel is designated a hate group by Southern Poverty Law Center. As I noted last month GuideStar was truthful. 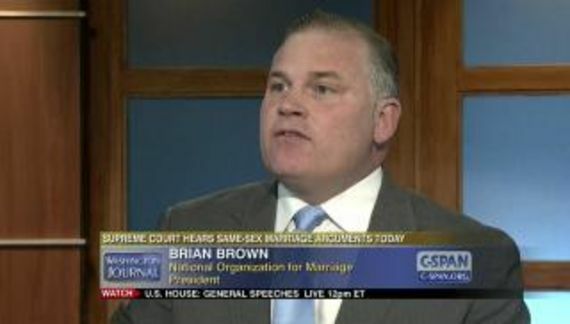 SPLC does consider Liberty Counsel a hate group. Without a client controlling expenses, Mat Staver, the hate group leader, is a vexatious litigant. This is the very definition of abuse of process and one of these days someone is going to be sufficiently pissed off to sue Liberty Counsel accordingly. LC is using the courts, with no chance of prevailing, in order to further a business objective. I am not a mind reader but I think that Staver was looking for GuideStar president Jacob Harold to agree not to resume flagging Liberty Counsel as a hate group. Instead, they got Harvard educated lawyer Sona Rewari who took apart Liberty Counsel's complaint piece by piece.